Visit the Broke and the Bookish for more! I love costumes. I love theater, and acting. Carl surprised me this weekend by taking me to our community theater’s production of “Arsenic and Old Lace,” which was brilliantly done, and which I would have adored even if it had been less professional, because I haven’t been to a live performance since … well, before college. Carl had never seen live theater (aside from high school plays) before, so it was a whole new experience for him, and he was surprised at how much he enjoyed it, too. 1. Raggedy Ann. My kindergarten Halloween costume! My mom sewed me a dress and pinafore, and made a red yarn wig; we couldn’t find striped stockings anywhere, so I still remember sitting in class and my dad showing up right before the parade with wide red elastic bands to put over my white tights, to look like red and white stripes. It worked beautifully, and set the tone for going all out with costumes in our family. 2. Robin Hood. This was for a friend’s 18th birthday party, where she wanted everyone to dress up as a character from their favorite movie. I chose Robin Hood, being a big fan of the Errol Flynn version, but also of the character himself from the many stories I read. Having short hair worked really well for that one; I recall I used an eyebrow pencil to give myself a mustache. 3. Joe Hardy. This was a last-minute costume. The well of inspiration ran dry, and we had a Harvest Party that night, and I had no idea what I was going to do. Staring at the bookshelves finally gave me an idea. I ran to the local department store and bought a pinstriped Oxford shirt and clip-on tie; borrowed my dad’s old leather bomber jacket, and slicked my (again, short) hair down with a disgusting amount of gel. Success! Now for characters I would want to dress up as, even still! 5. Lucy Pevensie. I want to wear this dress, and be Queen Lucy the Valiant. Someday. 6. Eowyn, Shieldmaiden of Rohan. Let’s face it, fantasy-medieval characters are pretty much the best, especially when they get to carry weapons with them. I made Joy a blue princess outfit for Halloween this year, and we are figuring out how to concoct a shoulder belt and scabbard out of ribbon for her foam sword, while her shield clips at her waist, and with a headchain/crown on her head, she is a pretty uncanny representation of Eowyn (not that she knows who that is, of course – she rolled her eyes when I called her a Shieldmaiden of Rohan). 7. Rounding out my medieval list would be Eilonwy, daughter of Angharad, daughter of Regat, daughter of – oh, it’s such a bother going through all that. Carl recently read “The Book of Three” for the first time, and he told me afterward: “So, Eilonwy … pretty much you as a kid?” Hey, there are far worse book characters I could have been. 8. Anne of Green Gables. Though to tell the truth, I would honestly mostly like to dress like Anne for everyday life, not just as a costume. After watching the movie with some of my neighbors recently, I found myself craving long wool plaid skirts and hand-knitted sweaters for autumn and winter wear. 9. Harriet Vane. An excuse to wear 1930s clothing and say clever and biting things! What more could one want? 10. I had a terrible time narrowing down this last one, but I think I finally settled on Albert Campion. I’ve already got the glasses and pale hair and indeterminate face (I love that descriptive phrase, by the way: indeterminate face. Isn’t it evocative? And since I cannot go anywhere without having people say “Oh yeah, I know you … don’t I?” because my face always looks like somebody else, I think I can claim that phrase for myself). All I would need would be a natty 1920s gentleman’s outfit. Carl could accompany me as Lugg. This has been a really awful few days. The shooting in Ottawa hit me just like a sucker punch to the gut. Ottawa is the closest city to my hometown (yes, we were closer to a Canadian city than a US. 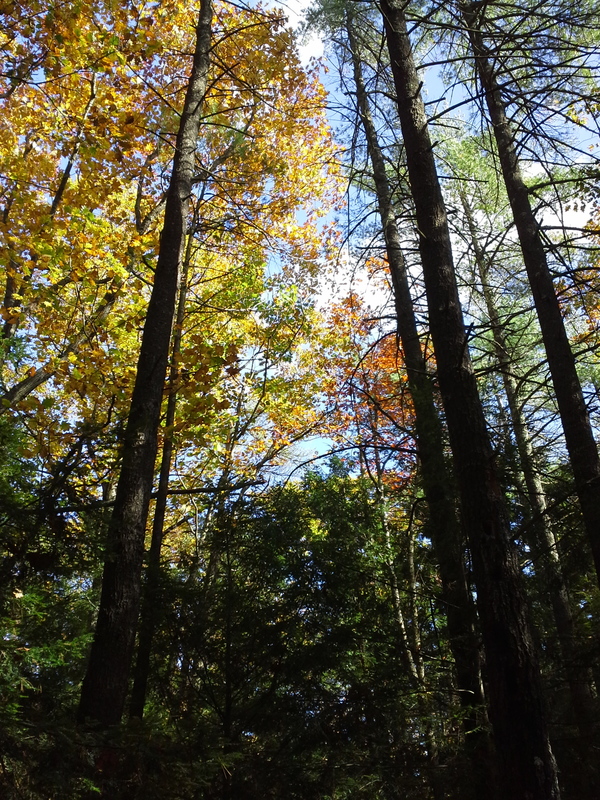 REALLY rural, and REALLY far north in NY State); we are very familiar with it. It’s a beautiful, warm, welcoming city, and to think of such a horror being perpetuated in it was awful and personal. The next day, I found out that the local college in my hometown – the school I attended for my freshman year before transferring to the state university the next town over – had to shut down because of threats on social media. MY town. MY school. Once again, the fury I felt was personal as well as abstract. Today is the third anniversary of my grandmother’s death. And rather than continue to dwell on the things that make me angry, things I cannot change or stop directly, I’m going to do what Grandma would have done, and share some things that bring light, laughter, and hope to the world. I’m certain I’ve posted this video before. Kurt Browning is one of my all-time favorite skaters – he is one of the greats – and this is a routine that never fails to brighten my day, no matter how bad it gets. This song makes me cry. Every time. But they are good tears, tears of love for and pride in my grandparents and all those who choose joy instead of bitterness in the hardships of life. Speaking of Patty Griffin … I love this song, too. I snapped this with my phone last weekend on our mountain hike. Glorious beauty in the dying of the year. Not a picture or video, but – we have started reading The Lion, the Witch, and the Wardrobe to the kids before bed (Carl reads, I sit and quilt and surreptitiously watch their faces). They weren’t too sure about it at first, but last night the four children had supper with the Beavers, and neither girl wanted to close the book after that. They’re hooked. In really, really good news from this week (well, the tail end of last week), my dear friend A.M. Offenwanger published her first book! It is a delightful read. The link leads to the Smashwords page, but you can get it through Amazon or Kobo as well, or as a print version through Createspace. There are some of my happy things! I hope that, whether you are having a wonderful week or a dreadful one, that at least one item in this post has brought a smile to your face. Oh man, how to narrow this down to ten? 1. Wales. Susan Cooper and Lloyd Alexander chiefly are responsible for my love affair with Wales. Between Prydain and Will Stanton I was hooked early, and Brother Cadfael and Celtic lore in general only strengthened my love. I’ve even attempted to teach myself the Welsh language, that’s how much I love it. 2. The Rest of the UK. I have read way too many books set in England, Scotland, and Ireland to not want to visit every corner. Carl is looking at getting his PhD in either Scotland or England, and the thought of actually living there for 3-4 years seems like a dream. A really good one. 3. Greece. Books like MWT’s Queen’s Thief series and CS Lewis’ Till We Have Faces, and Lloyd Alexander’s The Arkadians, not to mention all the Greek Mythology I grew up on (did anyone else ever play the board game By Jove? Friends of ours owned it, and we would play it all the time) kindled in me a deep, deep desire to someday visit the land that has inspired so many wondrous stories. 4. Oxford, England. I know I already listed Great Britain above, but Oxford deserves its own special spot. Not only is it the home of my beloved Lord Peter and Harriet Vane, but so many of my favorite authors attended or lectured (or both!) there, that I can’t even imagine walking around there. 5. Mankato, Minnesota. Maud Hart Lovelace based Deep Valley on Mankato, her own home town, and someday I intend to visit there and pay my respects to Betsy Ray properly. 6. Prince Edward Island. Because Anne and Emily and Kilmeny and the Story Girl and Jane and Marigold, that’s why. Because LM Montgomery. And because it’s beautiful. 7. Mythology is to blame for a lot of my travel lust, it seems, because I also really want to visit the Scandinavian countries due to my fondness for Norse mythology. Also, as with PEI, because I think they’d be beautiful. And because Carl’s heritage is largely Swedish. But mostly because of myths. 8. Colorado. The first time I read Susan Coolidge’s Clover and In the High Valley, I fell in love with her description of Colorado. I am 100% certain it’s nothing like that today, but I would still love to visit and see for myself. 9. Egypt. Yup, blame it on the myths again. Also on Zilpha Keatley Snyder’s The Egypt Game. And the Amelia Peabody books. 10. Narnia. I know it’s not a real place. But oh, how I’ve always wished it was. 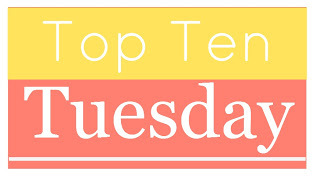 As always, check out The Broke and the Bookish for more Top Ten lists. Sinusitis is no fun at all, guys. Seriously. I thought my occasional tyramine-intolerance migraines were bad until I had to deal with daily sinus headaches. I think I’m over the worst of it now, I’ve still got some pressure and pain, but I ate a tiny piece of jalapeno this evening and my head pretty much exploded and then I felt so much better. Not cured, but on the road. Thank goodness. The downside to sinusitis (aside from constant pain, of course) is that I haven’t been able to accomplish much of anything for the last almost-three weeks. The upside is, I’ve gotten quite a bit more done on my niece’s baby quilt, since resting on the couch with a quilting hoop and Netflix was about all I could manage. If I’m very diligent, I just might get the quilt done in time for Christmas. Which would be excellent, since she turned a year old last week. I am, despite the burst of productivity on Miss M’s quilt, glad to finally be able to start getting some other stuff done. I set up the sewing table to work more on Halloween costumes today – I would be finished with the underdress of Joy’s medieval outfit tonight if it weren’t for the fact that the sewing machine noise keeps Gracie awake so I have to quit once they’re in bed. I cleaned the kitchen earlier today, and made a delicious, healthy supper. It doesn’t sound like much, but considering what I’ve been getting done, it’s a lot. Not a lot of writing done of late, but I’m seeing light at the end of the tunnel for From the Shadows, and even a hint of hope that I might be able to finish the first draft of Magic in Disguise by the end of the year. I confess to feeling some discouragement that my wretched body seems determined to throw a monkey wrench into all my plans, all the time (if it’s not one thing, it’s another, she said in a gloomy tone to rival Eeyore’s), but I am determined to not let it master me. Because in the long run, what’s a few extra weeks, or months, or even year? Am I suddenly going to lose masses of fans because I didn’t publish the sequel to Magic Most Deadly exactly one year after the first book? Or are people going to forget all about me if I’m not churning out books steadily? Is my value, my worth, going to drop if I don’t publish on a regular basis? And you know, a few weeks with constant pain has taught me a lot, even as it’s eroded my plans. Plus it’s given my husband and kids a chance to show their love for me in practical, tangible ways, like Carl making an absolutely delicious supper Saturday evening because I couldn’t move my head, even though he’d had class Friday night and all day Saturday. Or the girls playing quietly and nicely with each other several afternoons without me having to ask, just because they saw me resting on the bed and knew that Mommy was hurting again. I dunno, as important as writing is to me, moments like that are even more important in the long run. Maybe not to me as a writer, but to me as a person. So there are my ramblings from the last few weeks. What’s new with all you? Last night I watched the first half of Anne of Green Gables with a group of ladies in my building (and you can be absolutely certain that, mature, reasoned, responsible ladies that we are, we were every one of us sorely tempted to stay up until midnight watching the entire thing, and only barely managed to be sensible enough to call it a night after Part 1). It got me thinking about Anne, and my relationship with her over the years. As a child, she was one of my best friends. I adored her temper, her dramatics (and sadly, unconsciously imitated both), her sense of beauty in the world, her vivid imagination (I unconsciously imitated those as well, with a much happier result). Anne, like Lucy Pevensie, Vesper Holly, Mary Lennox, Sara Crewe, Jo March, Emily Starr, Eilonwy of Prydain, Betsy Ray, and others whom I am most certainly forgetting at the moment, had a hand in shaping the person I grew to become. As an adult, I started to lose some patience with Anne. Her dramatics made me wince, her over-exaggerations caused me to roll my eyes, her disdain for ordinary, everyday life seemed short-sighted and arrogant. Watching the movie this time around, though, I found myself with an entirely new perspective. When others laughed at her statements such as “being in the depths of despair” or wishing to be called Cordelia instead of Anne, I found myself wanting to gather her in a big hug. I think it’s being a mother of little girls that’s helping shift the way I see things now. Now I can see Anne as the child who never had any kind of touchstone with reality, whose only exposure to a life beyond harshness and ugliness came from books, and who genuinely had no idea how to properly interact with the world until Matthew, Marilla, and Diana (and even Mrs Lynde, to an extent, in her advice to put Anne in school and Sunday School) showed her through example and friendship. Now I find myself getting really emotional, as Matthew’s kindness and Marilla’s practicality took a child who literally had no life beyond books and made her capable of living in the world and loving it as much as her dreams. Instead of wincing at her insistence on giving everything “imaginative” names, I now can appreciate how she was simply trying, in her own childish way, to make the beauty that she saw for the first time in her life fit the flaming glories it brought to her inner life. I said in a post a little while ago that while I still love Anne, I don’t know that we would be friends anymore – I had started to feel like I’d outgrown her. I don’t feel that way anymore. Now I think I’ve gotten to a point of enough maturity to properly love her and befriend her once again.